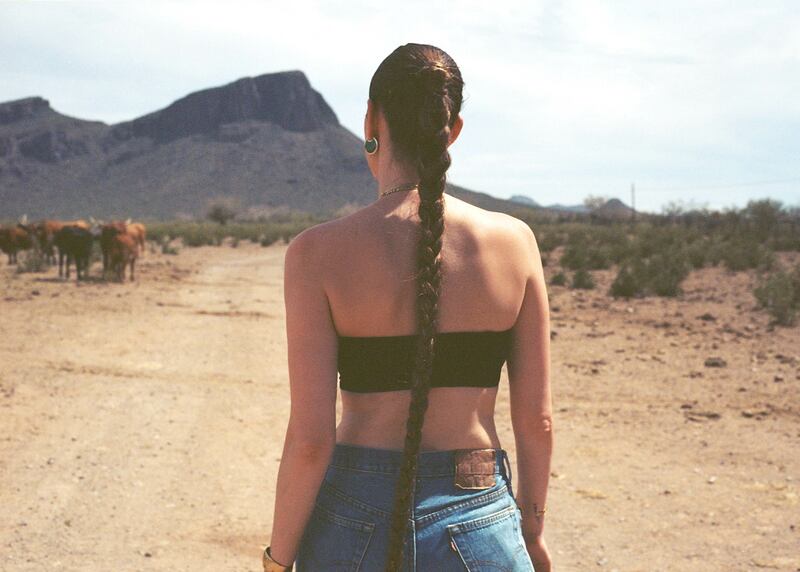 The high summer lookbook was shot on a white hot, 105 degree day in the Arizona desert at the historic White Stallion Ranch in Tucson AZ. Originally built in the early 1900's as a cattle ranch, The White Stallion has been the backdrop for famous westerns like 1947's The Last Round-up with Gene Autry and the 1955 thriller A Kiss Before Dying with Robert Wagner and Joanne Woodward. A stunning expanse of 3000 acres of tangled, wild desert, the ideal setting to highlight a less-is-more collection for the sultriest days of summer. 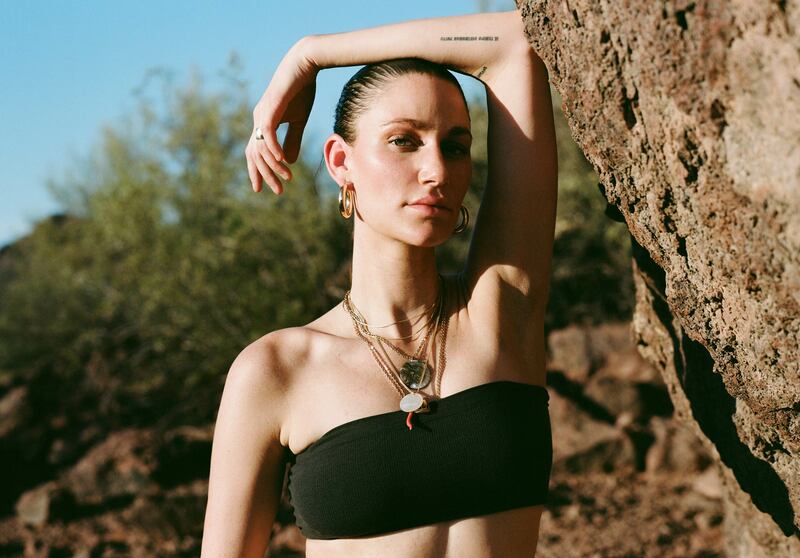 Modern swimwear, silver accents, light and breathable lingerie, and statement jewelry shot on our style muse, the entrancing musician Niia.